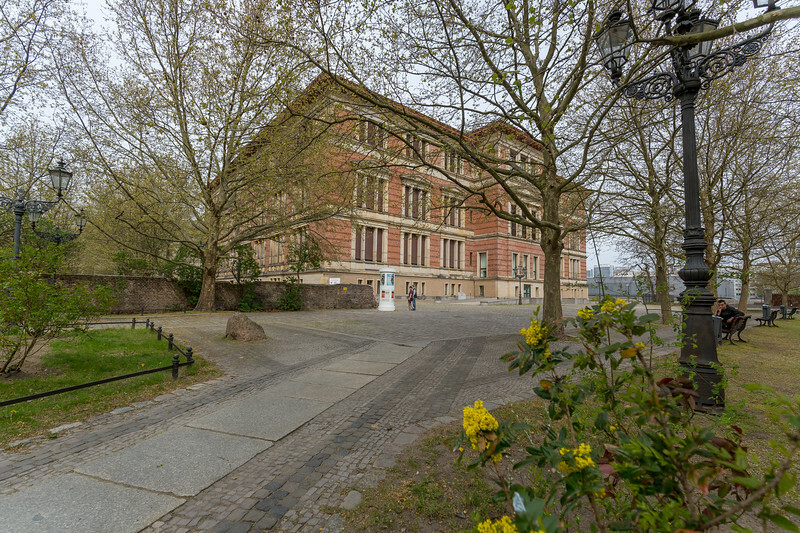 Martin-Gropius-Bau, originally a museum of applied arts and a listed historical monument since 1966, is a well-known Berlin exhibition hall located at Niederkirchnerstraße 7 in Berlin-Kreuzberg. The building was erected between 1877 and 1881 by the architects Martin Gropius (a great uncle of Walter Gropius) and Heino Schmieden in the neo-Renaissance style. At present there is an exposition The Century Mark. Tel Aviv Museum of Art visits Berlin (27 March to 21 June 2015). Alongside there is the Documentation Center Topography of Terror having more than one million people visited in 2014. During the “Third Reich” the headquarters of the Secret State Police, the SS and the Reich Security Main Office were located at the site.